As promised in my previous post, here is the first recipe. I originally made this breakfast dish because my boyfriend was having trouble switching from sweetened cereals/granola/protein bars to Paleofied breakfast foods. He wanted something that would be sweet, filling, protein packed and could be made ahead of time as he has to be out the door by 5:30 every morning. 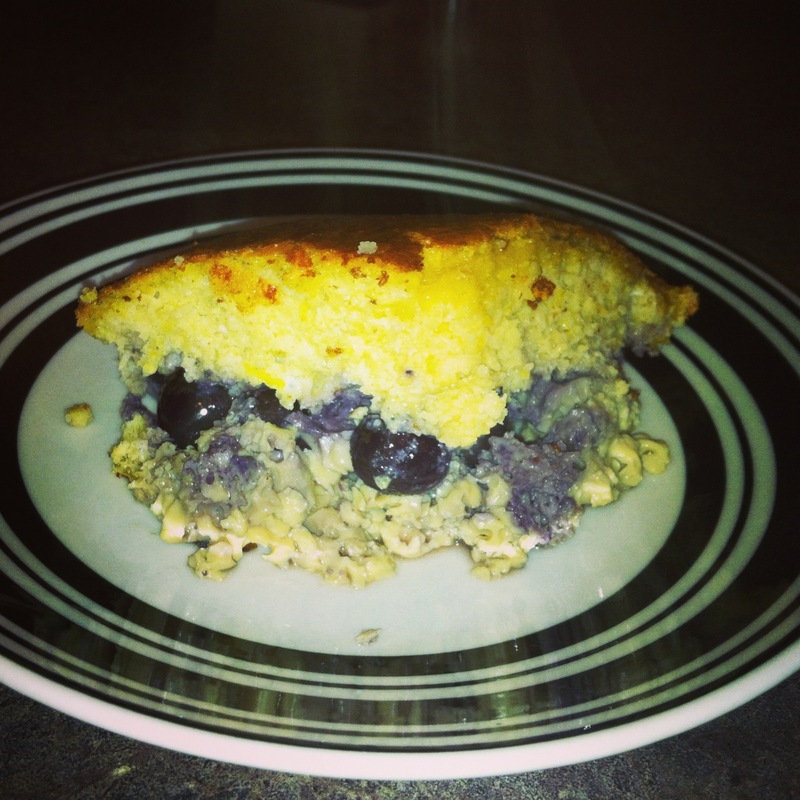 I adapted a muffin recipe by Diane Sanfillipo and came up with this delicious breakfast “cake” that is now a weekly staple. 1. Mix the eggs in a large mixing bowl, add in the almond flour, maple syrup ,lemon zest and juice (make sure to take out the seeds from the juice, there’s usually quite a few! ), vanilla extract, baking soda and salt. 2.Cut into the mixture the coconut oil, trying to minimize the large chunks. It is okay if there are chunks, they will melt and blend in the oven. 3. Mix in the bluerries and pour into often safe pan. Cook in the oven on 350* for around 35 minutes. I suggest after about 20 minutes, when the top has started to brown, poke some holes/cut some slices into the top. This allows it to cook more evenly throughout. This dish can be refrigerated and heated up with no problem for those quick mornings when you have to rush out the door! Enjoy the tangy sweetness! 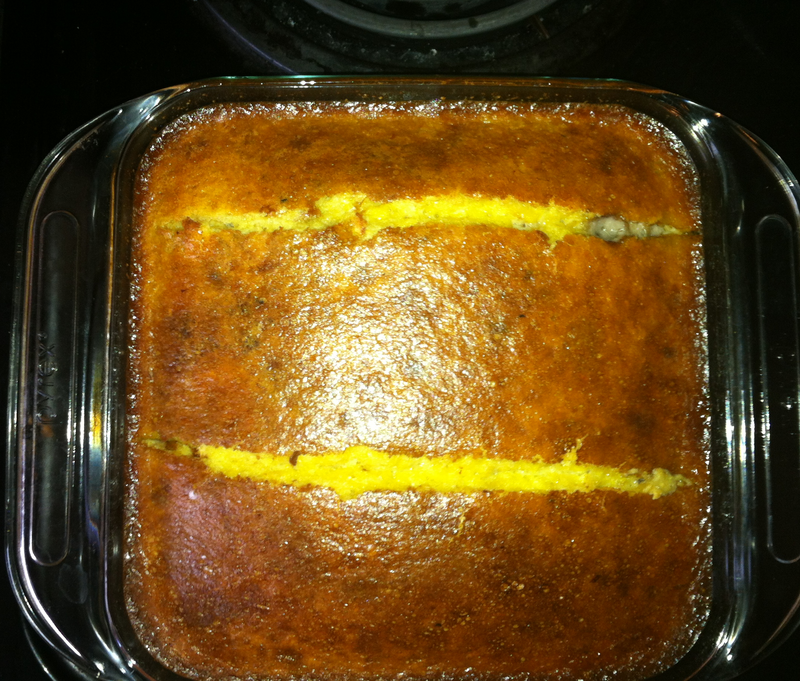 This entry was posted in Paleo, Recipe and tagged breakfast, CrossFit, egg, Food, Healthy, Paleo, Recipe by fionaboger. Bookmark the permalink.